Withdrawal symptoms from alcohol vary depending on the user’s history. A chronic abuser of alcohol can have more severe detox than that of someone who may not have been drinking as long or as much as the chronic abuser. To understand what to expect, let’s examine the effects of alcohol on the body to better understand detox from alcohol. The brain is affected by the presence of alcohol in the body. Prolonged or heavy alcohol use exacerbates these effects. Alcohol gives a sense of calm and relaxation. The normal sense of calmness in the body is the result of GABA, a neurotransmitter in the brain. Continued alcohol in the body suppresses this natural process in the brain. The alcohol is now what the body craves and needs to feel this natural sensation. This issue now becomes a level of tolerance of alcohol. The body needs more alcohol to achieve this sense of calm and relaxation. When alcohol is no longer present, the body starts to rid itself of these toxins. Within hours of alcohol not being present, the body will start to show signs of withdrawal. Nausea and vomiting are very common. Sweating, headaches and shaking hands will occur. As the detoxification process continues, symptoms can become more severe. Delirium tremens can occur. Sweating will be more intense as the body is physically ridding itself of the alcohol. What may have been mild anxiety can turn into confusion and disorientation. Hallucinations can occur. Severe tremors and even seizures are possible. 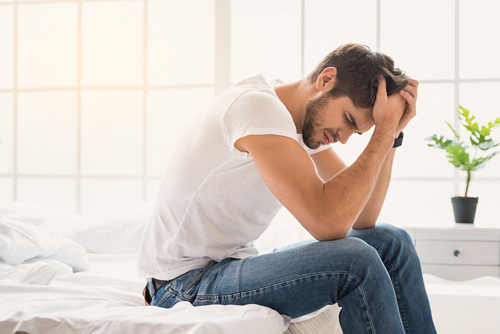 Not everyone who is coming off of alcohol addiction will experience these effects, but it is important to recognize what effects alcohol withdrawal can have. Be prepared for the need of medical attention for someone who is detoxing. This can be a life threatening process and need to be taken seriously. To find out more about services offered by Willingway Georgia alcohol detox program contact us 24 hours a day at 888-979-2140, and let us help you get started on the road to recovery. Alcohol Withdrawal: Symptoms, Treatments, Duration, and More. (n.d.). Retrieved January, 2017. May we leave a message? Continuously accredited by The Joint Commission since 1974.